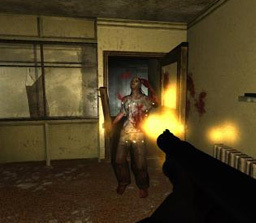 flashzombies.com - "Condemned: Criminal Origins"
Criminal Origins is the first in a now 2 series game that puts you in the role of Crime Investigation agent Ethan Thomas. The game plays out like an action/first person shooter style game. Your character is framed for the murder of 2 police officers who were actually killed by a serial killer, who you later find out, is a killer of serial killers and is stalking the main character. 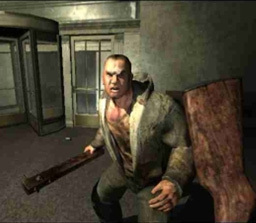 As you play throughout the game, you are attacked by crazed citizens who come literally outta nowhere at times. Overall, the game was only really fun the first time through, I tried playing through a 2nd time to finish some of the achievements I missed the first run through, but it lost some of the playability due to the fact I'd already knew what was going to be expected. If your into a fun horror/survial style game, this is a good rental, or if you can find it for under 20 bucks like me, pick it up, you'd be suprised at how fun it can be to get scared. The combat system while simple enough,can be downright frustrating, especially when your attacked from behind or by multiple enemies. The postives I found were that there was plenty of weapons to pick from ranging from pipes you can rip off walls, to various guns and even a manequinn arm. 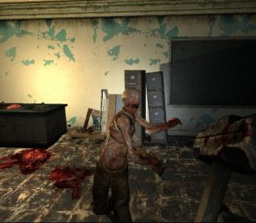 The game does its job well by literally scaring the crap outta you throughout various points in the game much of it due to poor lighting(which is intentional)and eerie music. What do you think of this game? 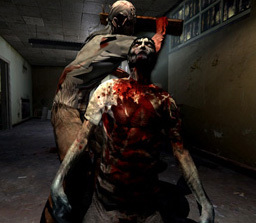 Click here to discuss Condemned: Criminal Origins in our forum.